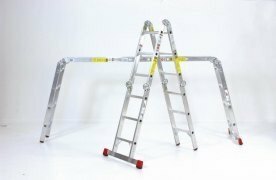 Very Durable all Steel Access Ladder. Brackets bolt directly to the scaffold. 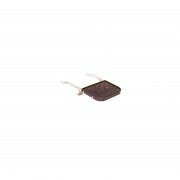 Type 1AAA regular Duty Rated. 375# Capacity. 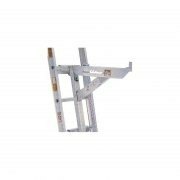 Fiberglass Step Ladder-to-Straight Ladder. Slip Resistant Rubber Shoes. 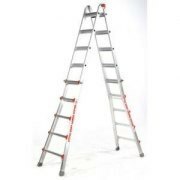 Stable when used as a Straight Ladder or a Step Ladder.